When you have to move from your home to the next or from one state to another, opting to deal with a professional removalist is a sensible and economical decision. We have been in service for a number of years now. We understand that if it were not for our ever-growing client base, we wouldn’t have made it this far. For this reason, we value our clients, and we treat them like the most critical stakeholders of our business. Through the years we have worked as movers and packers in Australia, we have criss-crossed all the major cities; thus we understand the terrain like the back of our hands. When you call us, therefore, we will neither ask you to provide us the GPS coordinates to your house, nor will we track you phone. All we require is your office or home address, and we will come to provide you the best moving experience in no time. We understand that most of the goods you want us to transport are precious and you can not afford to have them lost or damaged. For this reason, we have various insurances, which guarantee complete compensation in case any accidents take place to your items en route. You can, therefore, have assurance when working with us. We satisfy all the licensing requirements stipulated in law, and we will provide you the file the moment you get into our office. When working with us, you can get comfy knowing that you are dealing with a mover who is acknowledged by law. We are highly rated in various review sites, and our previous clients talk good about us thanks to the outstanding services we have offered throughout the years. this is the reason we have been able to get repeat business over and over again, not forgetting the client base that is considerably growing every day. we do everything we can to preserve our good name, and this is the reason why we will work extra hard when you sign a contract with us so that we can guarantee you return to us or refer us to your friends, relatives, or coworkers. We are completely certified by the Australian Furniture Removers Association, and this is another big reason why you must trust and count on us as a professional removalist company that will never let you down. we follow a rigorous code of conduct in all our endeavors, and this describes why we have never been associated with any malpractice in all our years of service. 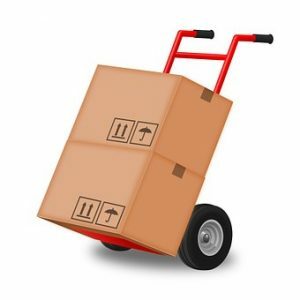 When you have to move from one house to another, whether it is in the exact same area or not, you require a removalist with industry understanding and experience to satisfy all your unique needs. The reason why we are the ideal local area mover is because we can move all belongings safely including pets, pianos, and furniture. We have moved countless residential clients in the city; therefore, there is no task that is too big or too small for us. Our expert residential movers will constantly have a solution that matches your budget despite how intricate your moving is. We help our clients move from one state to another with the understanding that this undertaking can be daunting. We satisfy all the licensing requirements by various states in Australia, therefore you will never find yourself on the wrong side of the law during transit. We have a team of specialized office movers who use customized equipment that guarantee your office items are safely moved, while making sure absolutely no interruptions to your regular business operations. Even when you are preparing to move, we understand that the office needs to be operational. For this reason, we will not determine when to move your office items. We move when time is convenient and suitable for you.. Versatility is among the primary reasons we are among the most recommended office removalist town. Whether you are moving house, office, or you are transferring to another state, call us for a quote or request for a call back, so that we can go over how we will help you convert your moving into a pleasant experience you will live to recall.